Whether you’re looking for the best speargun for beginners or you’re a veteran in the underwater field, one important fact remains constant: you need to choose the right spearfishing equipment for the job. Specifically, you need to choose the right speargun. If you’re looking for a comprehensive guide to help you do just that, our spearfishing experts have shared some of their tips. Keep reading to learn what it takes to select the right speargun for your personal spearfishing needs. Before we get into selection criteria, it’s crucial to get the basics down so you can be sure you choose the right speargun. Basic number one: there are three types of spearguns leading the market today. Those two types of spearguns are pneumatic and band powered. Let’s take a quick look at some of the key identifiers of each type of speargun. Pneumatic Spearguns – These spearguns were popular during the 1960s and 1970s, but are only used in a few parts of the world today. Many divers preferred these guns originally because they fired with minimal recoil and allowed divers to make longer-range shots with more accuracy. That being said, the power of this model is limited to the strength of the diver using it. These spearguns also require regular maintenance in order to maintain maximum performance. Traditional Band Powered Spearguns – One advantage of operating a band powered speargun is its nearly complete silence when firing. Considering how easy it is to both maintain and use this piece of spearfishing equipment, it’s no wonder most underwater hunters prefer it to old school pneumatic spearguns. Roller Spearguns – Roller spearguns have been around since the beginning of spearfishing, though new improvements in materials and designs have fueled a return in their popularity. While also powered by large rubber bands, roller spearguns pull the rubber and shaft over two rollers mounted at the front of the gun. The advantage here is that the bands apply steady and consistent energy to the shaft allowing for a longer stroke than traditional spearguns. Another advantage is that these guns have relatively no recoil, as the rubber and shaft’s energy cancel each other out. Of course, there are still a few considerations to make after you’ve decided which type of speargun you’ll be using. Like all spearfishing gear there is no universal speargun solution for everyone, it comes down to a matter of personal preference and abilities. There are moving parts when it comes to your speargun. Let’s dive in! Speargun Length – The length of your speargun will rely on several factors, but most importantly it will rely on the type and size of fish you’re hunting. If you’re hunting in cramped spaces like caves or where there is poor visibility, you’ll want a speargun in the 50cm to 75cm range. But if you’re hunting for big game in open water, you’ll probably prefer a 150cm to 165cm speargun, so you will have the additional range to hit the fish. Shaft Tip – Of course, one of the most important aspects of a speargun is the spear itself, and the most important part of the shaft is the tip. There are two commonly found spear tips, the Flopper and the Slip Tip. The flopper shaft uses a hinged barb that deploys after the shaft passes through the fish. A slip-tip is a detaches from the shat after penetrating the fish yet remains attached to the shaft with either spectra or wire leader. For Reef fish floppers are predominately preferred where as for blue water fish and more delicate fish, slip-tips are preferred. Speargun Bands – When selecting your speargun bands, the two most important factors to consider are stretch and diameter. Shorter bands require more strength to equip, but they also provide more power when shooting. Ultimately, there’s a near endless amount of customization when it comes to selecting the perfect speargun, and we haven’t even discussed our homemade speargun equipment yet. These essential pieces of spearfishing equipment could make or break your experience, so make sure you’re choosing wisely. If you’re a beginner, you want to go with equipment that is easy to use and maintain. 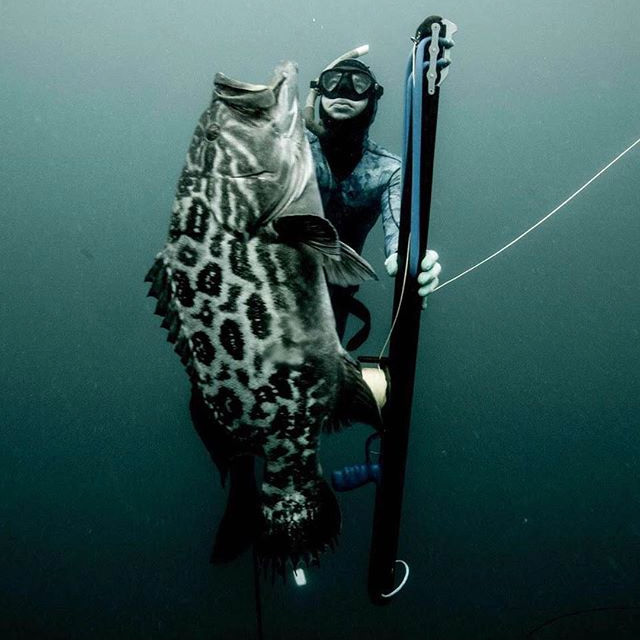 For more information and a wide range of spearfishing gear for beginners and experts alike, contact Neptonics today.